to young minds. She also conducts workshops for children and adults. She has also written and published papers on films and on writing. Visit her website for details. The blurb of the book is very promising and so is the premise. As a writer, contributor to so many anthologies I definitely was curious to read this book purely for the variety it promised in terms of the narrative. I finished the book in 3.5 hours non stop which implies to say that it is a light read, a perfect thing to grab on a lazy weekend. What held me onto the last page was the plot which had made me curious enough to want to know where it ends. The story is about a handful of aspiring writers who want to try writing for a short story contest partly for the money involved as a prize and partly because they think it is the best choice they have as of now. The story evolves as each of the character deals with his or her own issues with life battling with ideas to write in the short story contest. The author has done a neat job in creating very believable characters plucking people from your door next door and weaving such amazing tales around them in this book. She has also explored various styles of writing through this one and tried showing the working of a publishing house in details. She definitely needs to be accoladed for this effort where she makes the plot very enticing but unfortunately somewhere in there she lost me. When the book ended I felt lost as my mind kept asking "And? "Strangely the book doesn't stay with the reader, either it lacked powerful narration or perhaps the characters failed to warm up to the reader's hearts is something I am confused about. A must read for aspiring writers, newbie debutants and all readers who have atleast once asked this question " What goes on in a writer's mind while writing a story?" purely for the brilliant plot. 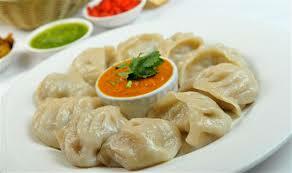 This book is like Momos - delectable and tasty!